How to draw a tree structure with a pencil in stages? 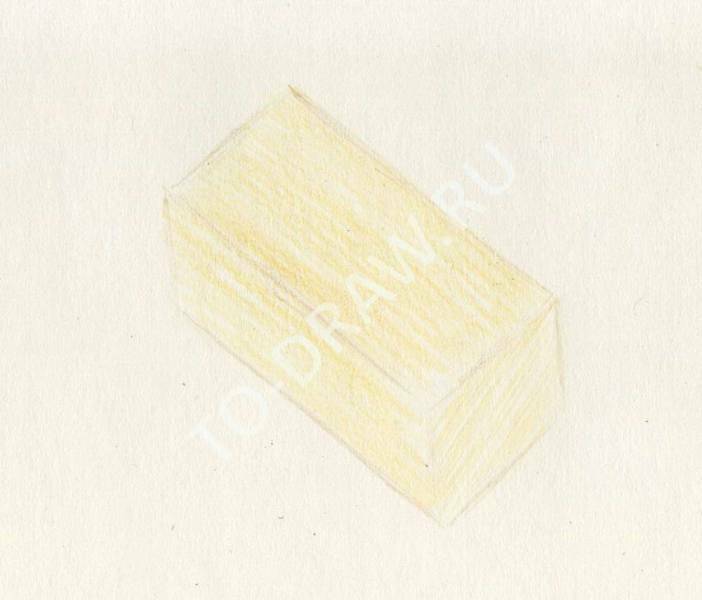 Draw a block of wood with colored pencils. 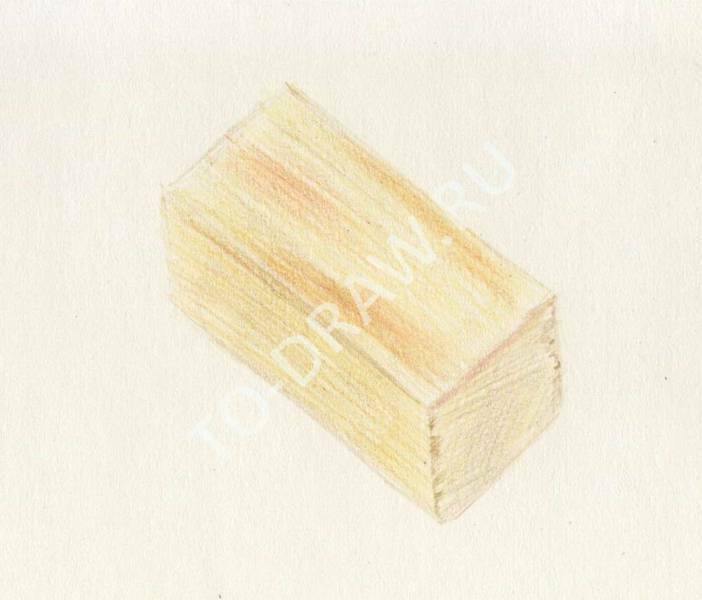 How to draw a piece of wood with a pencil? Today we work with colored pencils and try to convey the texture of the tree in the picture. Depicting the texture of any material look, feel (if possible) what it feels thin, thick, smooth, rough, prickly, rough. That's what it takes to try to convey in your work with lines and strokes, pressure on the pencil, thickness, length and direction of the stroke. Let me remind you that the invoice is already painted - it was a bird feather. Take for example a piece of wood, because the drawing of fibers different from each side and draw more interesting. Will do a light sketch lines. To do this, use a pencil in tone to the future pattern - in this case, light brown. 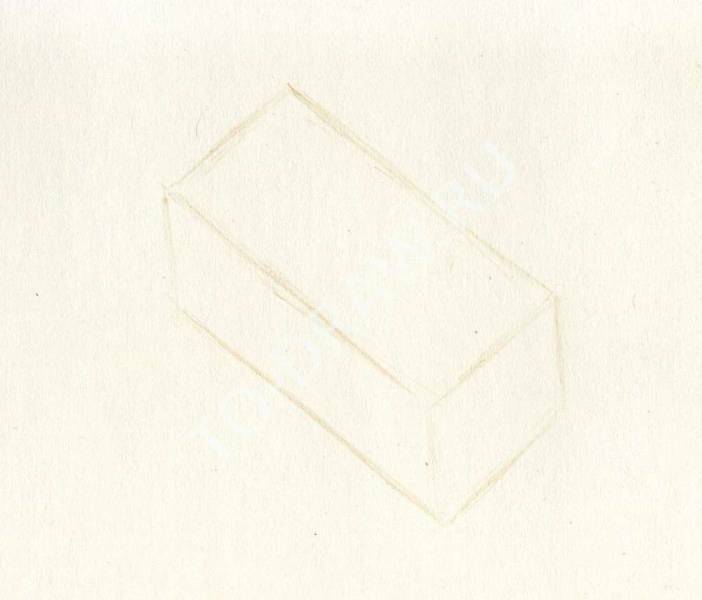 Draw the initial sketch of a piece of wood. The next step imposed by the hatch. On the top and left vertical edge of the bar fiber longitudinal and strokes imposed in the direction of the fibers. For shading at this stage, use the side of a pencil. And the vertical right face has a rough structure as fiber cut across. Here we impose the bar in a different direction to show the surface roughness. At this stage I took the pencils yellow-brown scales and put them on each other. Further fill our bar color. Use this yellow-orange-brown palette with inclusions cold tones. Look at the color spot on the bar and use appropriate colors - somewhere there's lots more yellow, more brown and even pink. The direction of the hatch we retain as in the second stage. 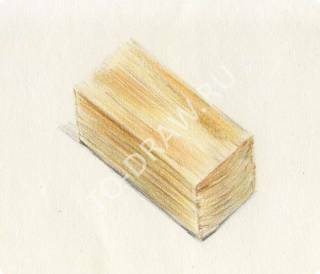 Draw the side face, the tip of the pencil, so as streaks in the wood of different thickness. On vertical faces more cold tones. The edge of the toothed bar, show this zigzag strokes. Draw the veins of the tree. For a short vertical face picture in wooden slice arc. For streaks use pencils of different colors. Under the bar to draw the shadow. It is possible to use grey and Indigo.